When you are looking for a small SUV with the performance and power of a larger vehicle, consider the Range Rover Velar. This popular luxury option provides you with everything that you are looking for so that you can have an enjoyable driving experience each time that you climb into it. The Range Rover Velar is set up with an eight-speed automatic transmission that helps the vehicle run and shift in a smooth way. The suspension of this luxury vehicle helps the vehicle to handle well and to help you feel good when you are driving about in it. If you are curious to learn more about the Range Rover Velar, know that we have the information that you are seeking. 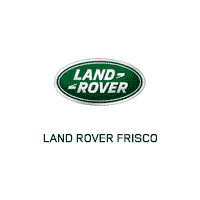 Come to Land Rover Frisco in Frisco, TX and our team will provide you with answers to all of your questions. Stop by right away to take this Range Rover for a test drive.